The bomb squad was brought in to defuse an apparent ex-lovers’ spat in Muncie, Indiana. A woman in the town brought a box she thought was a gift into work. That’s where she discovered it contained two pipe bombs she says were from her ex-boyfriend. 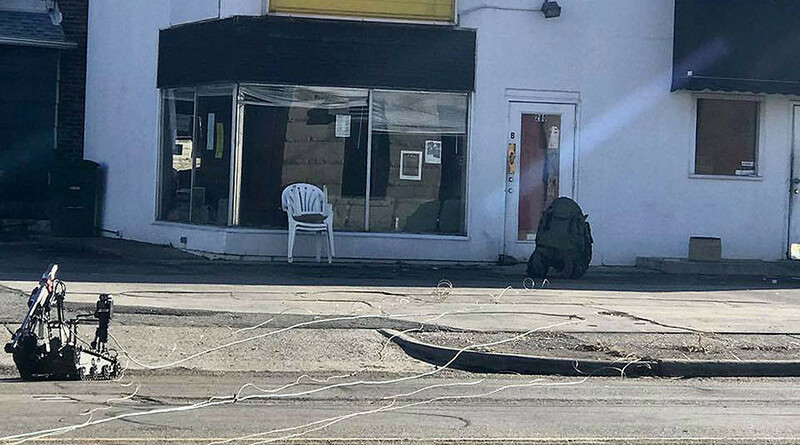 A small section of downtown Muncie was shut down around PDQ Taxi on Thursday morning, as the Delaware County Bomb Squad investigated and detonated the package in a controlled explosion. Several businesses in the area were evacuated. The unnamed woman, an employee of PDQ Taxi, received the small wooden box and brought it to work, thinking it was a gift, the company’s owner told WXIN. However, when she opened the package in front of her coworkers, they saw a timer and a pipe. The employees put the package outside, then the woman called 911, and the bomb squad was dispatched to the scene to disable the two devices that resembled PVC pipe bombs, the Muncie Star Press reported. “We’re lucky that thing didn’t go and have a couple of people in pieces out here,” Brad Luttrell of the Muncie Police Department told WTHR. They then used remote-controlled bomb disposal robot to fire a disabling charge, but that failed. Next, they wired smaller explosives to the device to disable the bombs’ firing mechanism and power. That led to three small explosions that destroyed the device. “Right now we are going over the scene with our evidence techs and we are going to try to help trace this back,” Kurt Walthour with the Delaware County Bomb Squad told the Star Press. Investigators have detained a man and a woman in the case, and issued at least two search warrants at homes in Muncie, WXIN’s Alexis McAdams reported. Police are preparing charges against at least one suspect, whom they say sent the explosive device to his ex-girlfriend, trying to blow her up as well as the school bus she drives, according to WTHR’s David MacAnally. Police identified the suspect as Lionel Mackey. He faces charges of placing an explosive device, manufacturing a destructive device, attempted aggravated battery, intimidation with a deadly weapon and invasion of privacy. The woman told investigators that she had recently broken up with Mackey, and that he had threatened to blow her and her school bus up. Mackey, 38, claims his ex-girlfriend framed him, however. When police searched Mackey’s home, they found several items that are consistent with building bombs, WRTV reported.